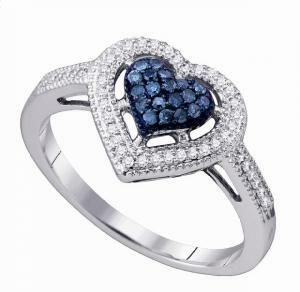 Gift this beautiful heart shaped ring to that special someone and watch her face light up with happiness. The beautiful 0.25 carat T.W. round treated blue and white diamond ring shimmers. Bring a touch of romance to her everyday life.